For all the dog-lovers out there, there can’t be a better opportunity to bring home a pet dog this festive season. 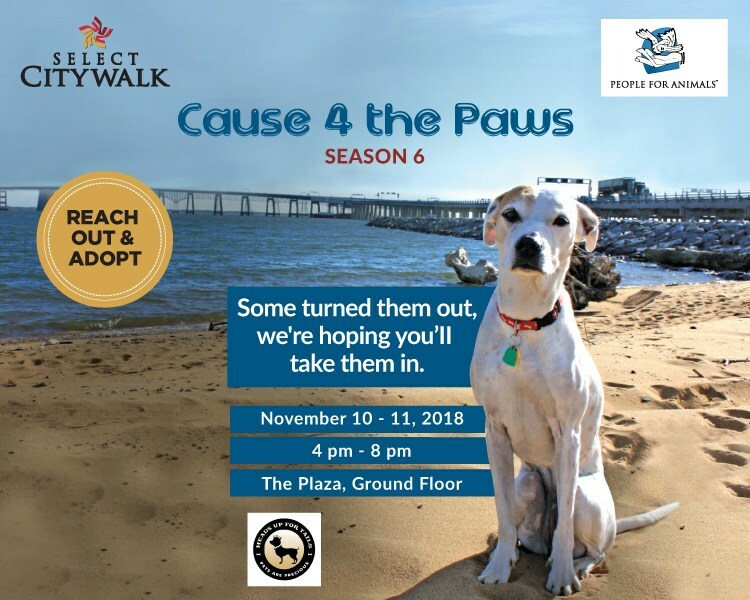 To make it possible for you, Select CITYWALK brings you the 6th season of ‘Cause 4 the Paw’ on November 10th and 11th from 4 pm-8 pm at The Plaza. So shower all your love on these dogs and welcome them in your homes and hearts!